Where’s The Best Spot For Your Air Conditioning Installation? When you’re planning for your home air conditioning installation, location of the unit can play a huge role in how effective and efficient your system is. Staying cool in summer is essential for your sanity in Perth, and you don’t want to have to pay an arm and a leg for it. Here are our tips on finding the best spot in your home for your unit to be installed. Which room in the house do you spend the most time in, seeking comfort? For most people, the options are narrowed to the lounge or bedrooms. Select the room where you’d appreciate it the most, and position it in there over your favourite sitting or sleeping spots – this will allow you to bathe in fresh, cool air, without having to wait for the air to circulate the entire room. As hot air rises, and cool air sinks, we know that to effectively cool the entire room we should have our air conditioning close to the ceiling of the room. Careful positioning such as this will allow to warmer air to naturally be pressured upwards from the descending cool air, to efficiently bring the temperature of the entire room down and maintain it easily. 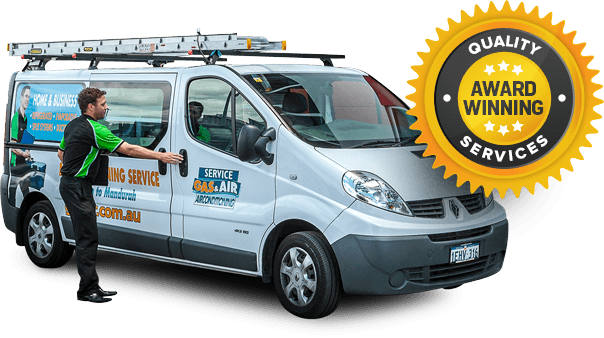 For more advice on your air conditioning installation, or the air conditioning installation cost, talk to the friendly team at Gas Air. We’re Perth’s leading products and servicing providers, with local expertise and fantastic value. Contact us today to find out more.